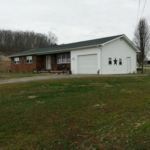 Euton Listings - Page1: Wheelersburg Area Properties! HARD TO FIND BRICK RANCH! Charming ranch in semi-county setting.